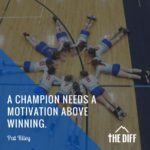 Home » Announcements, News Slider » Las Vegas…Here Comes The Diff! Las Vegas…Here Comes The Diff! Good luck to Diff 15s, 16s and 17s who compete in this weekend’s Las Vegas qualifier. Make a difference!